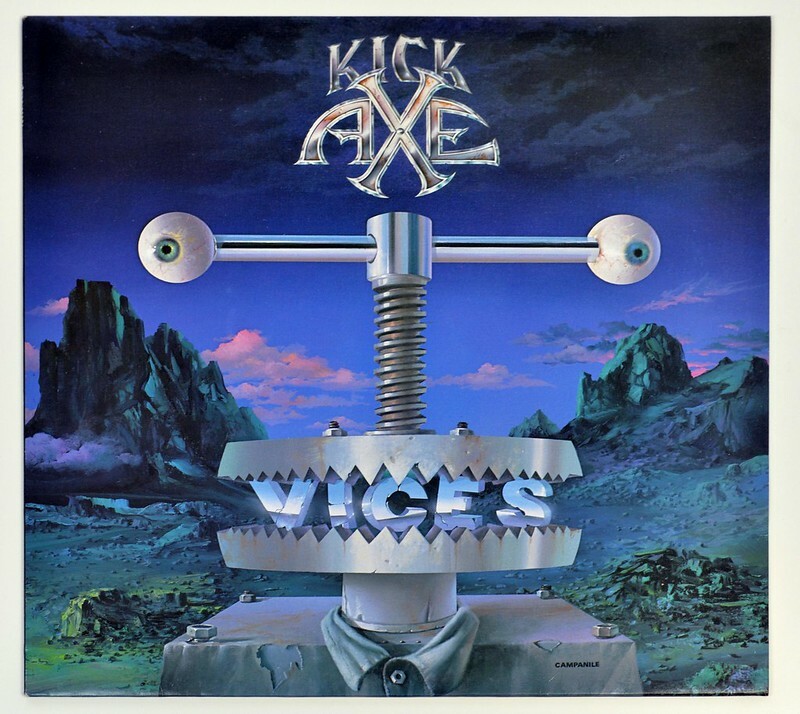 KICK AXE - Vices, is the debut album by this Canadian Heavy Metal / Hard Rock band. 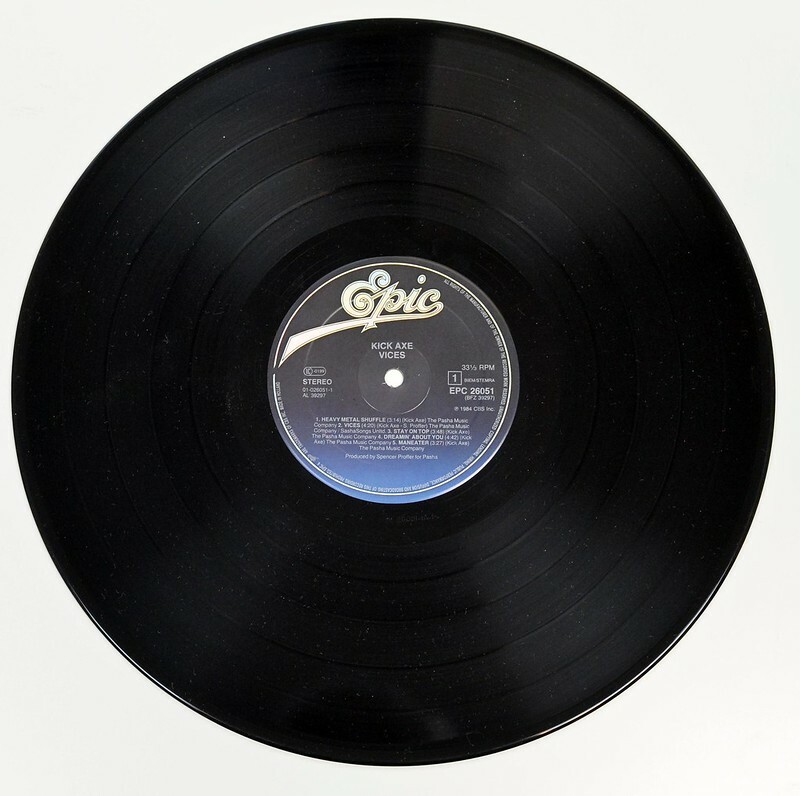 The vinyl version has been released on the Pasha label in Canada and the US, while in Europe this album was distributed by the EPIC record label. Spencer Proffer is an American media and record producer. 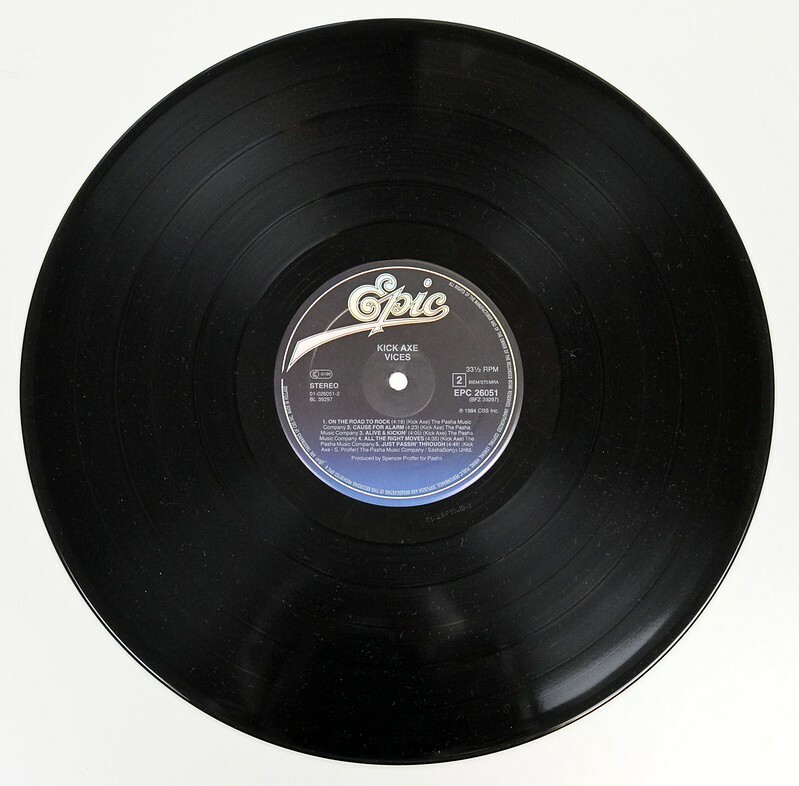 Proffer produced the first heavy metal record, Quiet Riot's Metal Health, to reach number 1 on the Billboard 200 chart. Proffer has produced and arranged over 200 albums, many of which have achieved gold and platinum-selling status, produced or executive-produced. Proffer was also founder of the Pasha Record company. 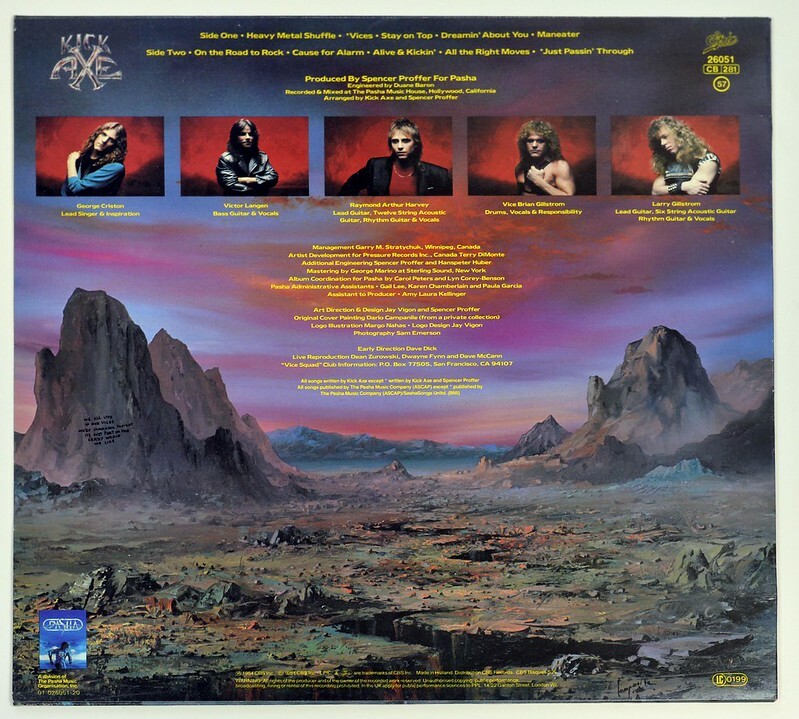 High Quality Photo of Album Front Cover "KICK AXE Vices"
Album Back Cover Photo of "KICK AXE Vices"
Complete Track-listing of the album "KICK AXE Vices"